← Celebrate National Library Week by checking out an ebook! Although most people tend to search for their information using a library search engine or Google, the slow summer months provide you the time to browse some of the library’s reference sources. 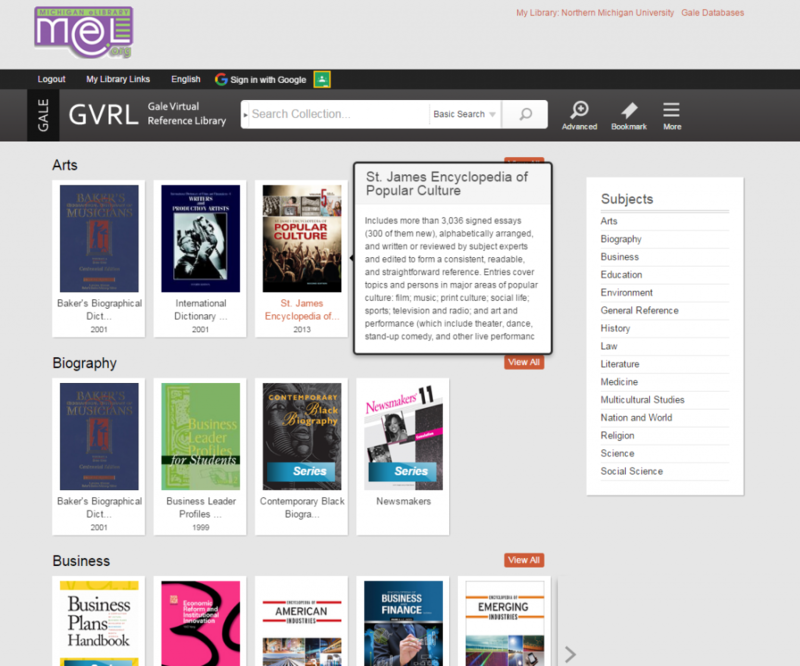 One source of quality online reference material is Gale Virtual Reference Library. 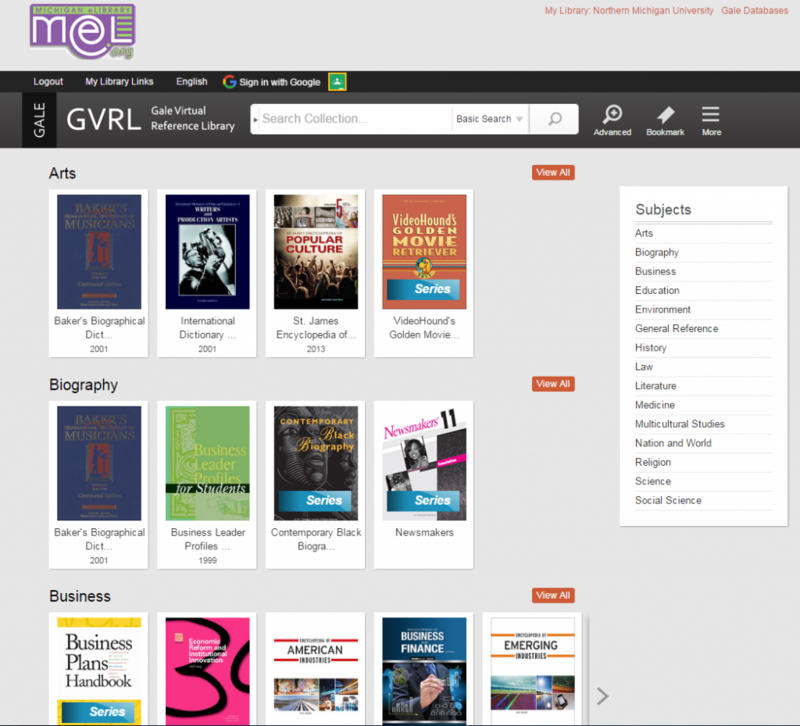 Much of the content is provided by Mel.org, the same group that provides the wonderful MelCat service, but some of the sources Olson Library purchased separately. 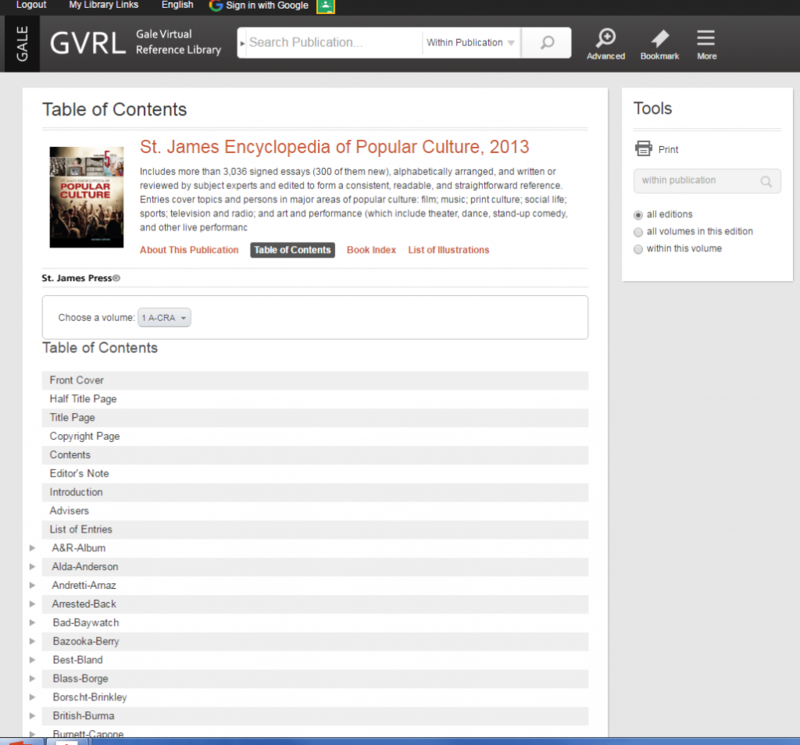 You can browse books by subject categories, or do a keyword search across all the works. If you hold your mouse over a title, a description of that work is shown. Browsing a title is like viewing an index in the back of the book. 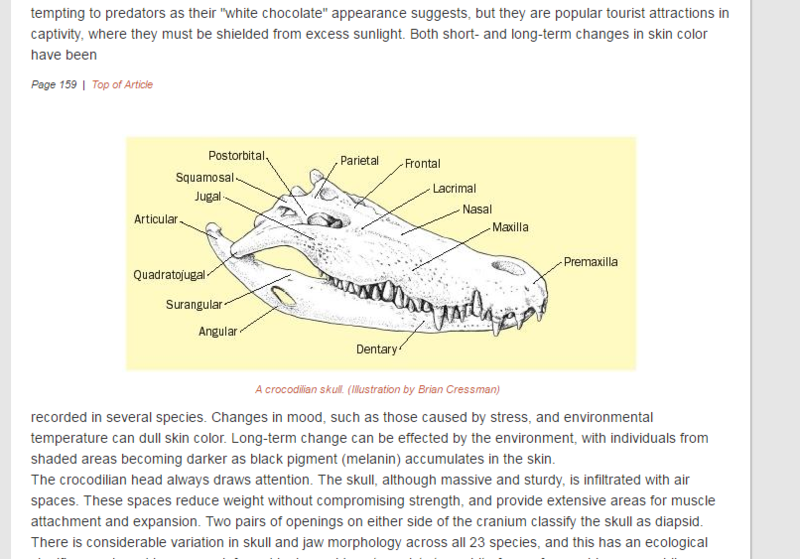 Although many entries are text based, depending on the source and entry, images are included too (following image is from Grzimek’s Animal Life Encyclopedia, 2013). So, the next cool, rainy day this summer, take your laptop to one of our bean bags in the library, or cover yourself with a blanket on your couch at home, and see what Gale Virtual Reference Library has to offer. If you have any questions make sure to chat us or call 227-2118.